This was one of the many car models I put into production. I was the Tooling and Equipment Engineer at Todd Motor Industries in Petone at the time. 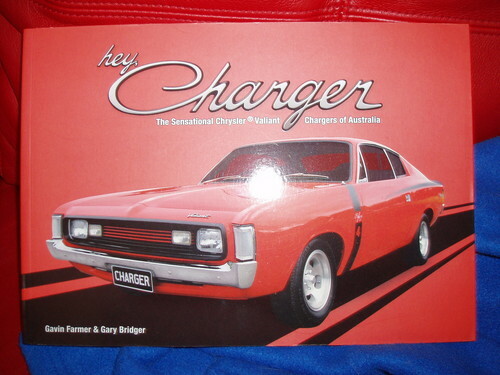 Model introductions that I was involved with included Sunbeam Imp, Hillman Avenger, various Hillman Hunter iterations, Chrysler VF VG and VH ranges, Commer vans, and Dodge trucks, and finally the start of the Mitsubishi Colt. We knew that the VH model was coming, and that we would be building the Saloon and the Utility, same as the VG. Everyone was stunned when Todds announced that they were considering building the VH29 coupe (the Charger). Two sets of panels were delivered to me, and a prototype car was on the way. I was given the old ‘Auto Machines’ building, which had been cleared out, and all the windows painted over. My job was to design all the body shop assembly tooling, welding gear, and to draw up all the NZ assembly process sheets. I remember laying out a body side on the floor, and clipping the panels together with vice-grips. It was all top security, as the vehicle had not then launched in Australia. I had to come up with a plan for tooling for NZ assembly, and provide a costings, to allow the sales people to work out a selling price. The additional tooling cost had to be amortized against the expected number of Chargers to be sold. The sales people didn’t think many would sell (remember this was NZ of the 1970’s when the choice was usually “Standard” and “Delux” four door saloons, usually sold to companies). In the event the Chargers sold like hot cakes, and the additional tooling costs were recovered in the first year! Since people were prepared to pay the price, Todds were happy to keep taking the money, and the Charger was a money spinner from then on. I realized that we would be building 5 different floor lengths (including the run-out of the VG range) on the same floor jig, so I designed a 5 position fixture for the rear chassis locating pins. When this was installed, I discovered that we had been building the VG and previous Valiants ½ inch shorter on one side, so they all drove crab-wise along the road! This led to a huge arguement, management decreed that we had to build the VH straight, and so the body co-ordination of VG range all had to be re-done, just to build out the last few hundred VG units. 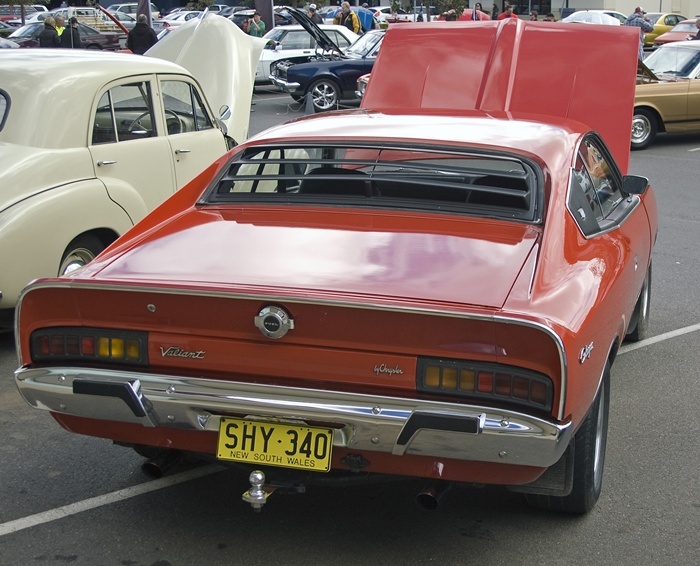 The rear panel, across the back of the Charger was a big problem to fit. It took several attempts to make jigs that could hold the panel in alignment with the ¼ panels. I had to design and get made a special weld gun and hanger gimbals for the seams inside the boot. Someone had to hop in the boot of every car, haul down the spot weld gun, and swivel it over the lip, and up and under to do the spot welds in the back corner. You can spot an early Charger by the bad fits of this panel! Back panel fits look OK on this one! Then the frameless side windows! Whilst I was at Todds, we NEVER managed to make one pass the water test, and the windows always sucked out from the wind, especially when a truck went past. One of the Engineers had a Citroen DS19 with frameless windows, and showed that IT didn’t have these problems! At that time, the Todd Motor Industries Engineers had an interesting range of cars- there was a DS 19 Citroen, a Daimler SP250 V8, an Austin Healey 100 Sebring, a 1946 MG Magnette, a 1965 MG ZB Magnette, and others. We also had an Indian in line 4 motorbike (extracted from Len Southwood) under restoration. I had an MG Midget, which I had raced at Levin. Would I drive one? for Nostalgia? Good old times? I’d take a Skyline (R32, R33, R34, GTR if possible) anytime!